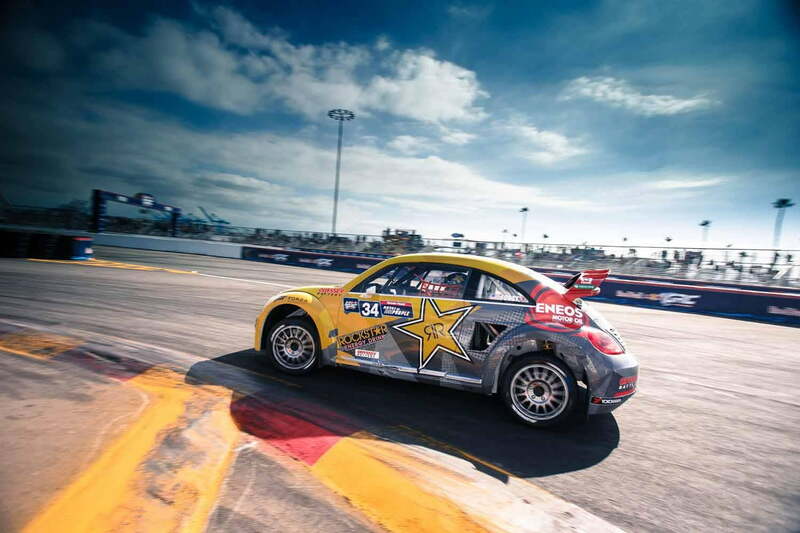 The Volkswagen Andretti Rallycross team has announced that it will compete in this year’s Global Rallycross Championship with a pair of Beetle-based race cars. The purpose-built Beetle is powered by a turbocharged 1.6-liter TSI four-cylinder engine that has been tuned to generate a massive 544 horsepower at 7,800 rpm and 387 foot-pounds of torque at 5,000 rpm. Power is sent to all four wheels via a six-speed sequential gearbox and a fixed-ratio all-wheel drive system, allowing the Beetle to reach 60 mph from a stop in 2.1 seconds – on par with a Formula 1 car – and go on to a top speed of about 124 mph. Tipping the scale at a little over 2,600 pounds, the Rallycross-bound Beetle stands out from its regular-production counterpart thanks to a long list of aerodynamic add-ons including a deep front bumper with a large air duct, a hood scoop, vents behind the doors and a sizable rear spoiler. The car rides on multi-spoke alloy wheels. The Beetles will be driven by Scott Speed, a former Formula 1 and NASCAR pilot, and Tanner Foust, a former GRC champion and the host of the American version of Top Gear. 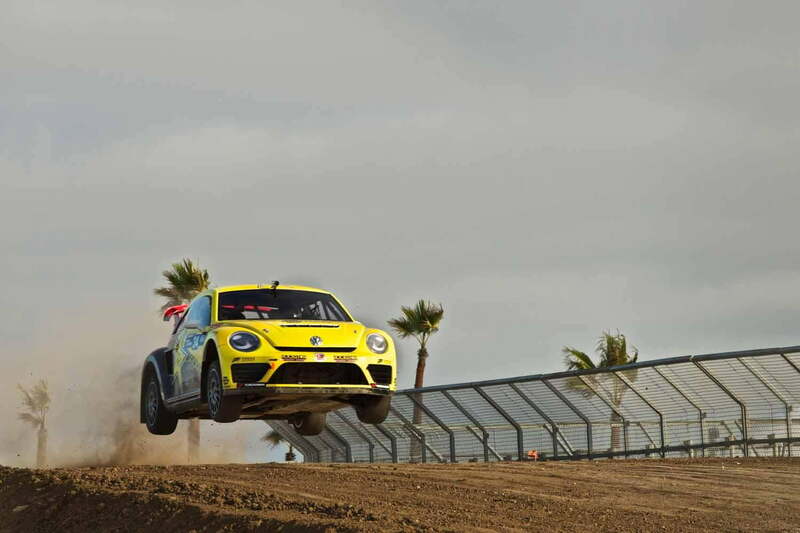 The Volkswagen Beetle GRC’s first race of the year will take place in Florida on May 31st. The championship will take competitors to places like Seattle, Washington D.C., Detroit, Barbados and Los Angeles, and the season will end on November 4th in Las Vegas, Nevada.